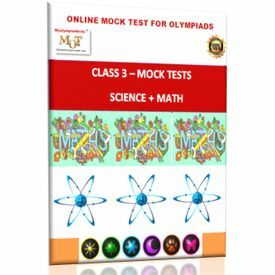 Class 3 IMO NSO Olympiad mock test series. 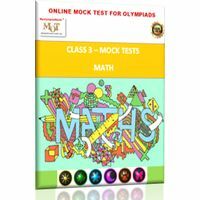 Discussion:Class 3 IMO NSO Olympiad mock test series. MOCK TESTS for International Math Olympiad practice. You will need to have computer and internet access to access and take these tests. 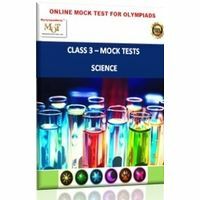 MOCK TESTS for National Science Olympiad practice 20 mock tests for NSO and other science Olympiad preparation 1 hour duration 35 questions in each tests Instant scorecard Chapter wise online tests Plants Animals Earth & Universe Human body & food Water Transport & Communication Housing and occupation MOCK TESTS for International Math Olympiad practice. 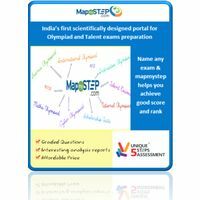 § 25 mock tests ( 35 questions and 1 hour duration) § 3 “LIVE” Global Math Olympiad tests § Tests include mental ability and logical reasoning TOPIC WISE online practice test series § Fractions - (5 tests, Part 1 - Part 5) § Numbers - (3 tests, Part 1 - Part 3) § Charts - (3 tests, Part 1 - Part 3) § Time - (3 tests, Part 1 - Part 3) § Geometry - (3 tests, Part 1 - Part 3) § Money - (2 tests, Part 1 to Part 2) § Measurements - (3 Tests, Part 1 to Part 3) § Multiplication & Division - (3 tests, Part 1 to Part 3) § Mental Ability - (5 tests, Part 1 to Part 5) You will need to have computer and internet access to access and take these tests.